Such an artist as Gerhard Richter could, walking, stop and admire the ancient architecture, a narrow street, the picturesque foliage of an old tree. 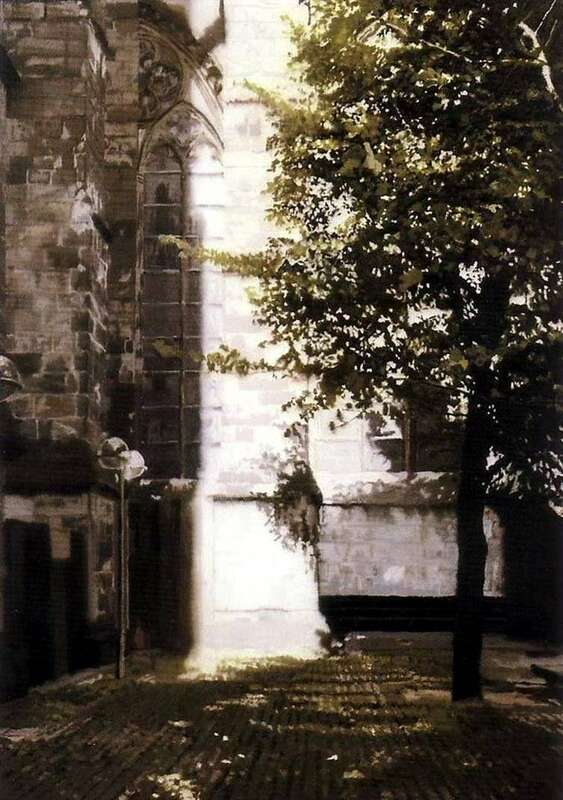 The German hyperrealist artist was able to convey in his painting “The Corner of the Cathedral” the calm dignity of the old building, undisturbed silence and the subtle charm of the countryside. Description and meaning of the painting Corner of the Cathedral by Gerhard Richter.